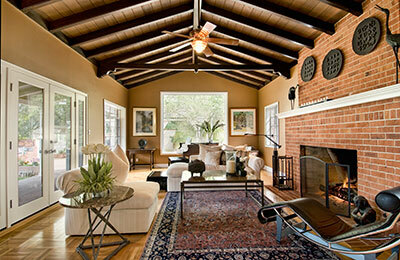 The decorating options that area rugs bestow upon home owners are virtually limitless. They can serve any purpose, from letting visitors wipe their muddy shoes to giving your kids a platform to play on all the way to showing off your sense of style. ​As you might imagine, focusing on what your area rug can do for you can lead to forgetting that you're supposed to do something for the rug as well. If you've placed it in an area with a lot of incidents (a kitchen, for example) for decorative purposes, expect to regret your decision as soon as that red wine hits the floor at the wrong angle. If you've chosen to use your area rug as a literal doormat, you'll soon find it accumulating so much dirt that it's more likely to make visitors' shoes dirtier than it is to clean them. Even if you've placed your area rug far away from spills and menacing soles, there's still plenty to worry about. 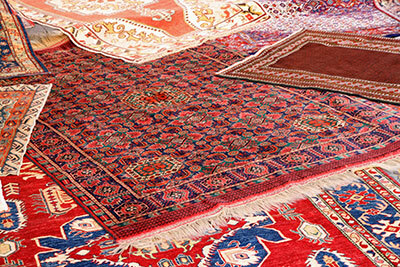 Carpet beetles and dust mites need a home, and they'd love nothing more than to set up camp in your precious area rug. Once they inhabit an area rug of sufficient size, complete removal can be nearly impossible if they choose to bury themselves deep into the carpet's fibers. Oh, and there's also the excess moisture to worry about – if you're steaming a lot under your roof, there's a good chance that some of that floating water will end up in your area rug and give birth to dangerous fungal growth that can cause respiratory issues. Getting concerned? Don't be – we're happy to clean your area rug no matter what it's suffering from. While many home owners fear carpet beetles like the plague, we're ready to lock horns with them and prove our superiority: to us, mold is simply a way to showcase the effectiveness of our cleaning method. Of course, to accomplish everything we promise to, we'll first have to know what your area rug is made of (in the most literal sense). A thorough inspection will tell us what's what and show us the optimal course of action – after all, we'd hate to do any wrong while on the job as it's strictly against our company policy. The way we clean your area rug will ultimately depend on many factors, perhaps most prominently on its age and materials. Some area rugs can handle heavy machine interference: others will absolutely demand a slow and gentle hand washing. Whichever is the best way to clean, we'll recognize it and proceed accordingly, rinsing away until every last unwanted visitor is gone from your precious area rug. 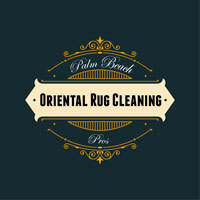 Afterwards, we'll dry the puppy out in a way that leaves the fabrics soft and the colors as strong as ever – no dye fading to worry about when you're in business with Palm Beach Oriental Rug Cleaning Pros. ​Still not convinced? Give us a call and explain your situation to us – we might just be able to hit you with a cleaning premium that will make our services impossible to pass up on.